Turkey’s Defense Minister says his country’s purchase of Russian air defense missile system should not trigger US sanctions. Turkey’s Defense Minister Hulusi Akar said on Monday that his country’s purchase of a Russian air defense missile system should not trigger US sanctions, Reuters reported. He explained that sanctions are not necessary because Ankara is not an adversary of Washington and remains committed to the NATO alliance. Speaking at a US-Turkey conference in Washington as tensions mount between the two NATO allies over Ankara’s plan to buy the Russian S-400 missile system, Akar adopted a relatively conciliatory tone and urged that issues be resolved through dialogue. 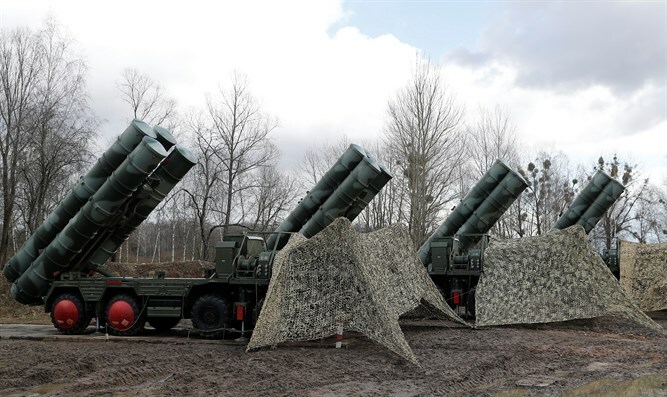 “Turkey is clearly not an adversary of the United States,” Akar stressed, adding that its procurement of the S-400 system should not therefore be considered within the scope of US sanctions designed to target America’s enemies. US officials said earlier this month that Washington had stopped delivery of F-35 fighter jet parts to Turkey in response to Ankara's decision to move ahead with the purchase of the Russian surface-to-air missile system. “This procurement decision does not signify a change in Turkey’s course. I’d like to reiterate strongly that there is no change in Turkey’s commitment to NATO,” Akar said Monday, according to Reuters. Turkish President Recep Tayyip Erdogan has refused to back down from Ankara’s planned purchase of the Russian S-400 missile defense system the United States has said would compromise the security of F-35 aircraft, made by Lockheed Martin Corp.
Turkey has said it will take delivery of the S-400s in July though Erdogan suggested last week that the delivery could be earlier than initially planned.